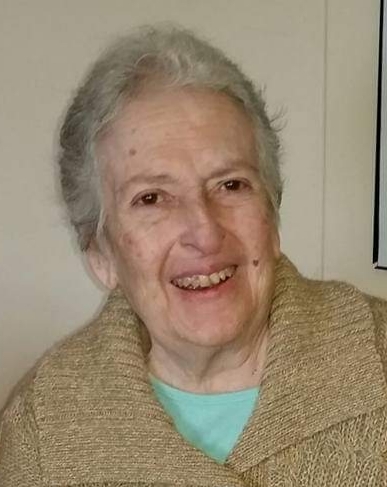 Maria “Pilar” Bates, passed away on Thursday March 21, 2019 at the Maine Veterans Home in South Paris. She was born January 4, 1932 in Scotland, she lived briefly in Germany as a toddler before WWII and grew up in Uruguay. In the 1950’s she immigrated to the United States for college and married Vernon F. Lawrence. In 1965 she married her soul mate, John N. Bates. She graduated from Adelphi University and spoke 5 languages. She received her U.S. Citizenship in 1967. She took her citizenship very seriously and was active in local and State politics, both in New York and Maine. She taught for Rangely Lakes Regional School in their adult ed. program and at MSAD 58 and was active in Girls State for several years. She was active in the Rangeley Congregational and Rangeley Episcopal Church before moving to Bethel where she attended the West Parish Congregational Church. She is survived by her children: Eloise Lewis of Woodstock, ME; Michael Lawrence and his wife Robin of Louisville, KY; Monica Lawrence of Louisville, KY; and stepson Andrew Bates and his wife Gloria of NY; her grandchildren- John Lewis and his wife Tonya of Locke Mills, ME; Benjamin Lewis of Concord, NH; Michael Jason Lawrence and his wife Andrea of Crestwood, KY; Joshua Lawrence and his wife Natalie of La Grange, KY; Jonathan Wilhelm of Tucson, AZ; and Michelle Wilhelm of Tucson, AZ; her great grandchildren Lily and Madeline Lewis of Locke Mills, ME and Wyatt and Tucker Lawrence of La Grange, KY.
She entered Ledgeview Nursing Home in August of 2013 and then went to the Veterans Nursing Home in August of 2018. We greatly appreciate the care she received and thank the staff of both for their kindness and support. Pursuant to her request, she has been cremated. 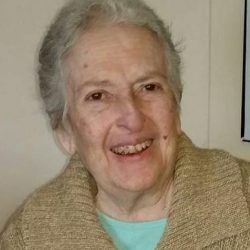 Services will be held at the West Parish Congregational Church in Bethel, ME on March 30, 2019 at 10 a.m. in lieu of flowers, she has asked that donations be made to the Giving Tree of Rangeley, P.O. Box 222, Rangeley, Maine 04970. Arrangements by Cliff Gray Cremation & Funeral Service, 60 Andrews Road, Bryant Pond. ME.